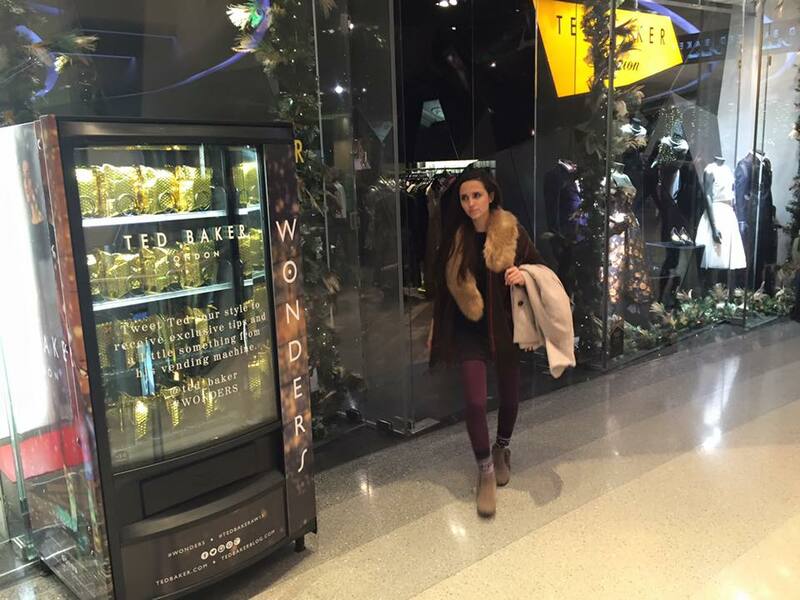 Ted Baker (http://www.tedbaker.com) put together a two-way Twitter vending machine for Vogue’s Gold Night in Westfield, but they decided to do things a little different. Unlike most Twitter activations, Aeguana worked closely with them to create something different. Whilst we’ve been involved in some amazing Twitter powered activations over time, the value for brands is enhanced when you take it a step further – rather than aiming for mere metrics in terms of social media impressions and reach, it’s far better to look for opportunities to start a two way conversation and create some content. 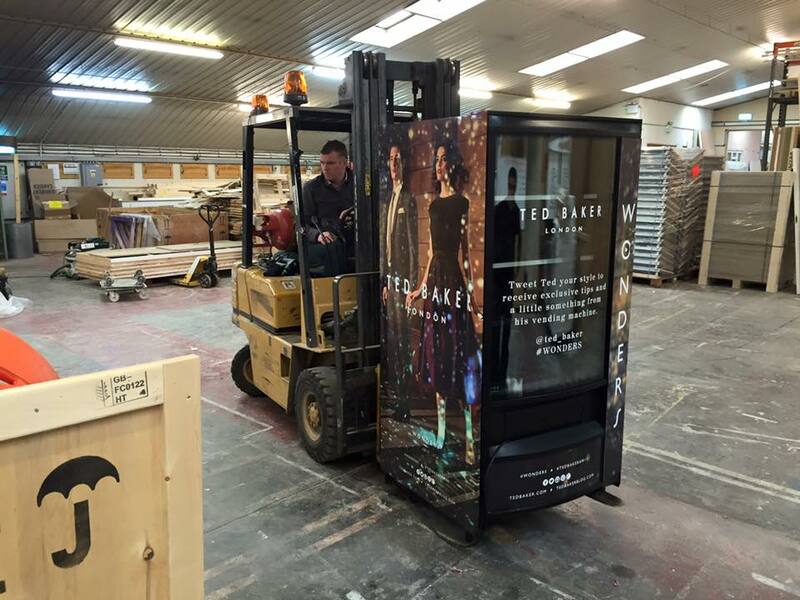 There’s no reason why a well executed Twitter vending machine can’t be a vehicle for content marketing. 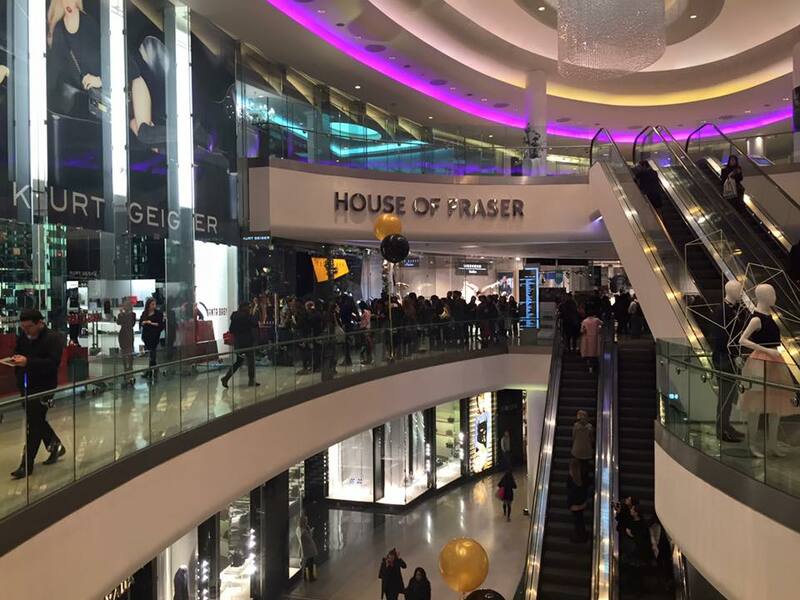 The concept involved customers Tweeting Ted Baker and including their fashion style in the Tweet – this could be Chic or Belle of the Ball (among many others). 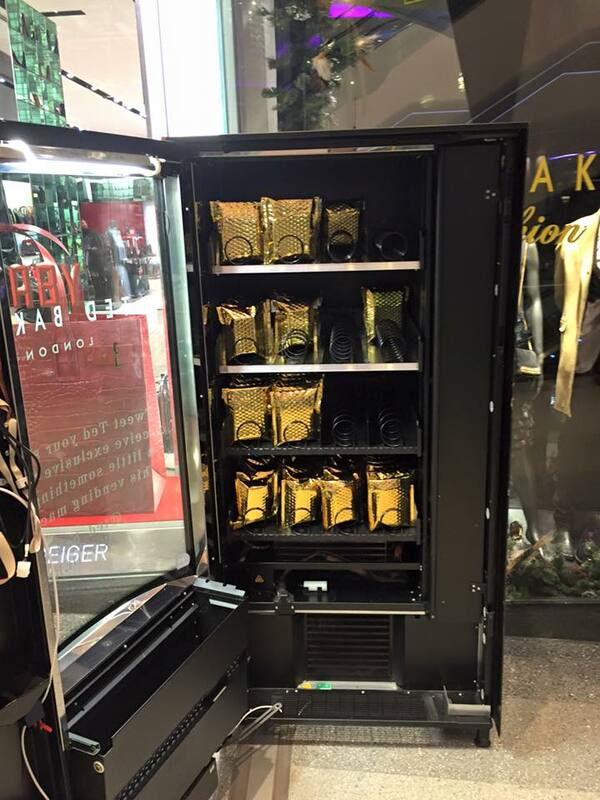 Depending on their fashion style, the vending machine would then Tweet them back with a recommended item from the new collection, and (of course) reminding them to collect their reward from Ted’s vending machine. More important than reach and impressions, this also enables the actual click through to be measured from the activity, providing a more valuable and relevant set of metrics to be determined. 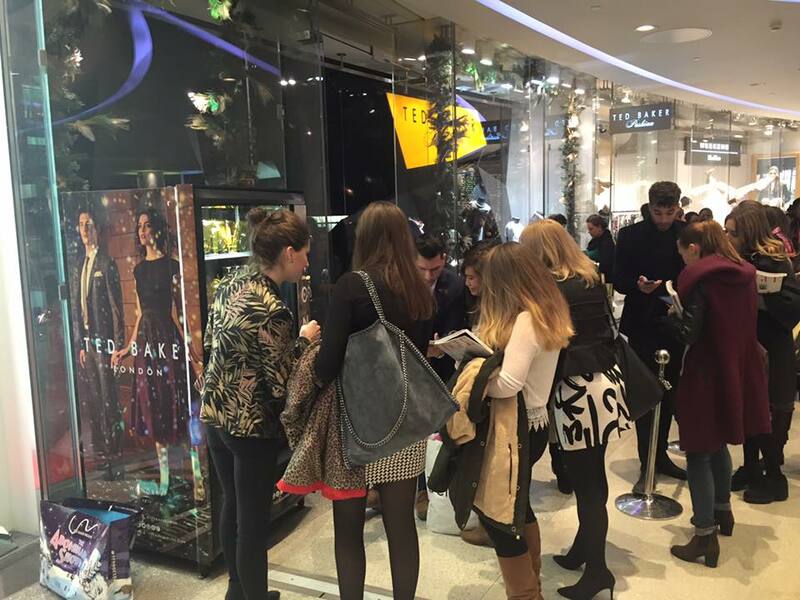 Featuring shiny gold packaging, the machine was an instant hit with people queuing before it even went live. 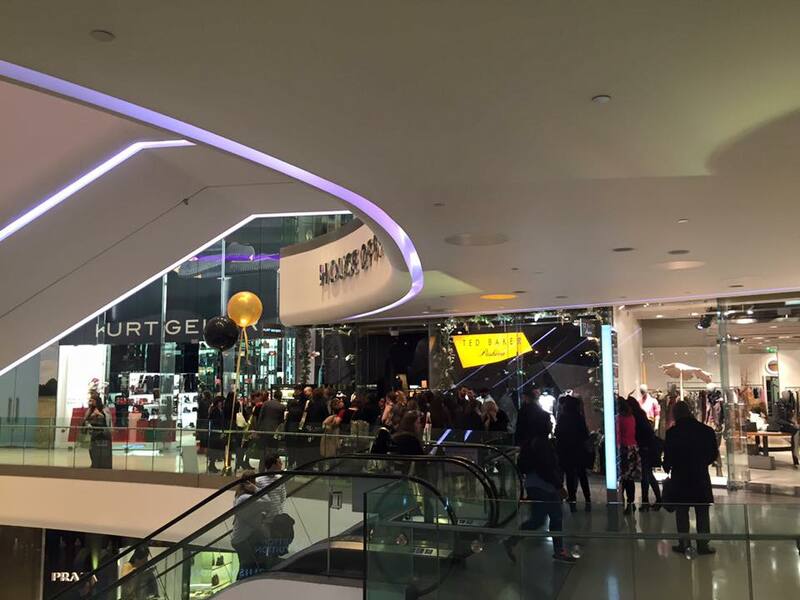 It’s safe to say Ted Baker stole the show, amassing a larger queue than the original queue to enter The Village in the first place!